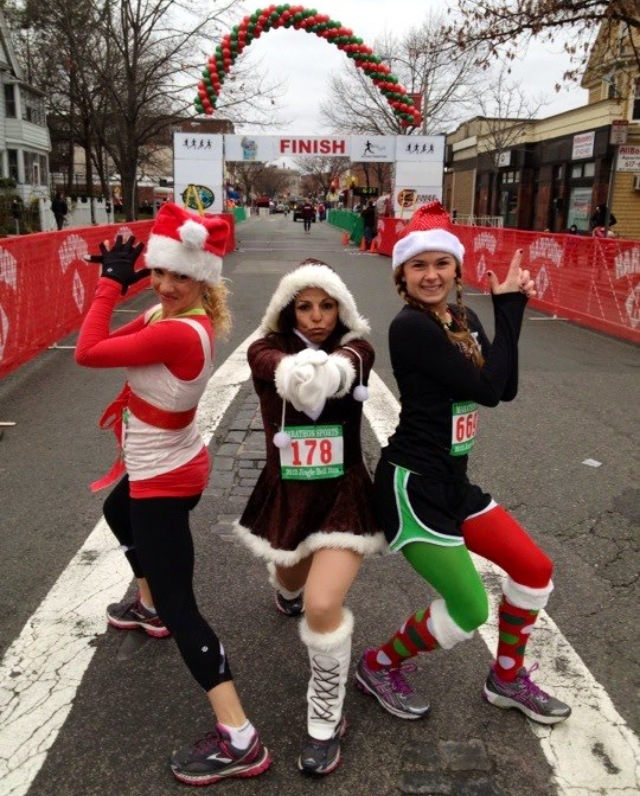 One thing I love about this time of year is holiday-themed races. I’m very selective with theme races and am not a fan of obstacle races, but give me a festive 5k and a turkey trot and I am one happy camper. Three things I love about these races? 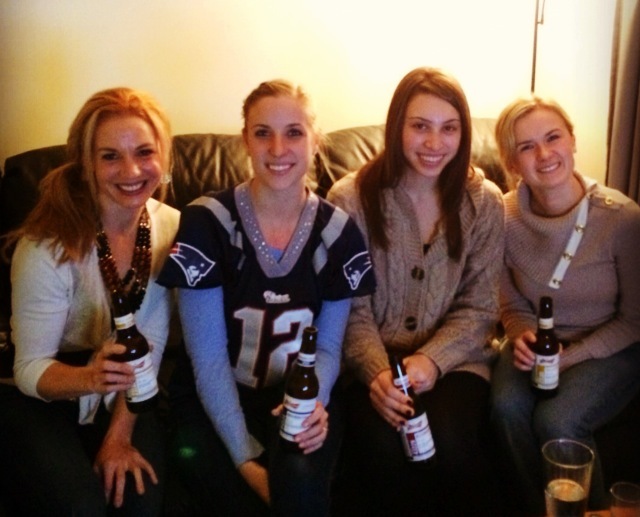 Friends, costumes, and a celebratory beer. It’s one of the few races where I’ll get dressed up and actually use the free beer ticket after finishing. When Budweiser recently asked me to sample some of their new Project 12 limited edition beers, I thought it would be the perfect opportunity to invite a few friends over and plan out our festive running getups for the upcoming Jingle Bell Run in Somerville on December 15th! I ran the Jingle Bell Run for the first time last year and had so much, it’s a great 5k where anything goes in terms of Christmas or winter costumes and the wilder the better. My friends were more than happy to come over and talk running costumes while having a beer tasting… clearly I have some very smart friends! The night consisted of race costume chatter, Sunday night football (Patriots vs. Broncos), plenty of appetizers to snack on, and a sampling of Budweiser’s three Project 12 special edition beers. 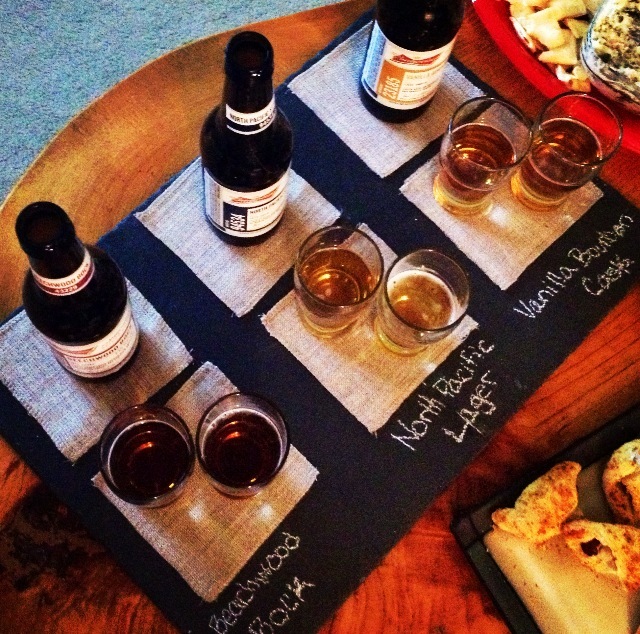 Each of the three beers was brewed in a different location and their flavors are unique to that region: North Pacific Lager, (Fairfield, Calif.), Vanilla Bourbon Cask, (Williamsburg, Va.), and Beachwood Bock, (Columbus, Ohio). North Pacific Lager, Batch 94534 (Fairfield, Calif.): Probably the most surprising (in a good way). Elena and I aren’t fans of “hoppy” lagers, which this is described as. We both found the flavor different from your typical hoppy lager and thought it was really refreshing. This actually ended up being Elena’s favorite and mine too! Vanilla Bourbon Cask, Batch 23185 (Williamsburg, Va.): Sarah was just as excited as I was to try this one, and we both thought it was delicious. I think the fact that I tried this one first though actually made it more difficult to taste the vanilla, when I sampled a different beer and then went back to the Vanilla Bourbon Cask I thought the vanilla flavor was much more apparent. Elena thought it was too much vanilla for her, but this was Sarah and Nichole’s favorite pick. Beachwood Bock, Batch 43229 (Columbus, Ohio): The Beachwood Bock had a really deep amber color compared to the other two. I think all four of us really enjoyed this lager, none of us disliked it, but I think the other two stood out more in terms of their uniqueness in flavor. All in all it was a really fun night hanging out with some great friends. We spent the rest of evening enjoying our favorite lagers out of the three and talking about Jingle Bell costumes. I suggested Christmas inspired tutus, and we all seemed to like that idea as part of the costume. I have yet to run a race in a tutu, I know it’s a trend, so this year may just be the year. Now any ideas on where one finds a Christmas tutu? We were also thinking about something to wear on our heads, some kind of hat, and bells. The bells on our shoes are essential. This is the Jingle Bell Run after all! So it looks like we’ll be going with an all-things red and green (possibly tutu) costume. I’d say that you won’t be able to miss us, but we’ll probably blend right in with the other runners! Have you tried Budweiser’s Project 12 limited edition beers? If you run holiday or theme races, which one is your favorite? !